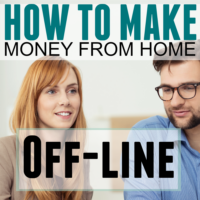 This is a guest post from Stefanie O’Connell, millennial money expert and Author of “The Broke and Beautiful Life”. She’s seriously amazing. Seriously. In 2013, I was an unemployed actress with a fledgling blog about living in New York City while pursuing my Broadway dreams and struggling to make ends meet. Just three years later, I’m a published personal finance author and millennial money expert with nearly six-figures of annual self-employment revenue, the majority of which comes from freelance writing. I created my own platform. You don’t need a degree in journalism to become a freelance writer, you don’t even need a ton of experience, but you must have a platform that showcases your work – a blog or detailed LinkedIn profile with a variety of thoughtful, self-authored posts should be enough to get you started. Build an accessible online space where people can get a sense of who you are and what your work is about. Speaking of what your work is about, choose a primary focus. Targeting one narrow niche is the fastest way to grow your expertise and become a respected voice in a particular subject area. I chose personal finance, millennial finance specifically. That level of specificity is what enabled me to emerge as one of the top voices in the space – less competition, more opportunity. Don’t worry about getting pigeonholed. Once you’re seen as an authority, you’ll have more flexibility to broaden out. I now write about various areas of personal finance, entrepreneurship and even lifestyle, but it’s much easier to build up respected expertise when you start out focusing your efforts in one area. Once you’ve identified your niche and started creating content on your own platform, take a look at other sites with similar missions. Blogs are a great place to start. Engage with their posts and leave thoughtful comments that offer new and interesting insights. With enough consistency on enough sites, you’ll start to build relationships with certain site owners. As you become more familiar with the sites in your niche, make note of any that employ staff writers – i.e. writers who are paid to contribute regularly. Once you’ve worked to build a relationship through commenting on and engaging with the content on those sites, reach out directly to the site owners and ask if they’re in need of any contributing writers. Be concise in your email, include a few potential post ideas that fit within the framework of the site’s voice and mission and include a few links to your own related pieces of content. Note: It’s very important that your pitch be thoughtful and customized. I receive pitches literally every day and it’s immediately obvious which are copied and pasted. I delete them immediately. The more thoughtful and engaged you are, the more likely to you are to receive a response. That’s not to say you’ll be hired, though. It’s a numbers game. Not everyone is going to need new writers, but by asking , you plant seeds for more potential writing opportunities, some of which may come to fruition in a week, others in a year. The best way to ensure fast growth is to cast your net wide. I remember sending well over 50 pitch emails to various bloggers in my niche before securing my first freelance writing gigs. The no’s weren’t discouraging because they ultimately got me closer to the yeses I needed. My first few gigs paid around $20-30 per 500-word post – not much. But they gave me an opportunity to hone my writing skills and build a broader reputation in my niche. 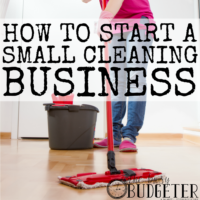 Once I got my first paid gig, I was able to leverage it for more. I reached out to people who didn’t respond to my first pitch and cast my net even wider, initiating a friendly follow up with an update on my new gig and links to some popular posts. Turns out demonstrating the value you’ve been able to provide others makes you highly desirable. Slowly, but surely, I built up a full load of $20/30 writing gigs. My networking efforts also began to pay additional dividends. Fellow bloggers whose work I’d commented on and engaged with started reaching out to me directly with additional writing opportunities. Soon I had more writing gigs than I knew what to do with, but at an average of $30 per post, I was on the verge of burn out – so I started looking for ways to raise my game. Around this time I began pitching editorial platforms like online news outlets and magazines. If I wanted to raise the value of my writing, I needed to gain more exposure as an authority in the space. Thanks to all the freelance blogging I was doing, my work was already fairly ubiquitous in my niche, so I used that as a selling point while pitching larger media platforms. After about six months of identifying potential editorial opportunities and sending out pitches, I got a bite from US News & World Report. I started writing a weekly column on frugal living, which was often syndicated on Yahoo! and MSN – giving me reach and exposure I’d never experienced before. With a portfolio of personal finance blog contributions and exposure on national platforms, I started looking for higher value clients – meaning, those who could pay more money. I was able to negotiate a few raises with the bloggers I was already writing for, but even a 100 percent pay increase would only net me $60 per post. I wanted to up level in a more disruptive way, so I expanded my networking efforts to include start-ups and companies that had more substantial budgets for professional content and writing teams. I began taking advantage of face to face opportunities to build relationships – conferences, events and meet-ups for example. If it was in the finance niche, I was there, business card in hand, contact info on the front and all my media mentions strategically placed on the back. Within a few weeks, I had three or four clients paying a minimum of $100 per post. Talk about a major up level – that was more than three times what I was making before! 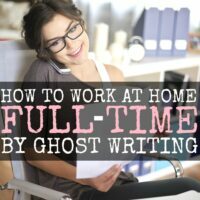 But even at $100 per post, I’d have to write far more than I wanted to generate a full-time income from freelance writing, so I kept honing my writing skills and seeking out new opportunities. To step up my freelance game, I needed to create space to bring in more profitable prospective clients. Despite my hesitations and financial concerns, I began dropping clients who couldn’t afford to bring their rate into alignment with what I was charging, and began investing that time and energy into finding premium clients instead. Beyond creating my own content, fostering online and face-to-face relationships and seizing opportunities for greater exposure, I joined writing networks like Skyword and Contently. I also spent time consciously up leveling my network. To reach more profitable client opportunities, I had to extend my network to include more highly positioned decision makers. My networking efforts became less focused on quantity and expansiveness and more focused on targeted connecting and up leveling. I changed my event strategy from meeting as many people as possible to finding ways to deliver value to the one or two super connectors or decision makers I really wanted to build relationships with. I used the same strategy online. Who could I quote in my US News & World Report columns? Whose work could I recommend to a vast number of highly engaged consumers? Who could I deliver something of high value to that would help me open the door to a new relationship and access a new level of opportunity? I could go on and on about this kind of targeted and intentional networking, but the point is to remain conscious of how you build your network and do it by consistently providing value rather than making asks. Within a few months, the value I was providing others came back around. I got my first five figure writing gig! I also started getting opportunities to write for Fortune 500 companies and top-tier media outlets. Every win became an opportunity to leverage another new connection and another subsequent win. In looking back at the journey, the process of consciously leveraging each small success was a key strategy in enabling every next step. 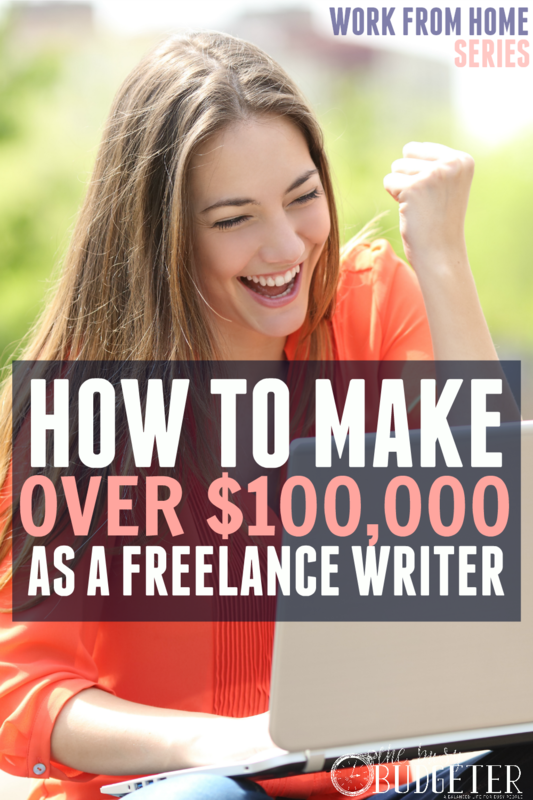 It brought my freelance writing game from an extra couple hundred bucks a month to a full five to ten thousand dollar monthly income stream three years later. I can’t wait to see what lies ahead! 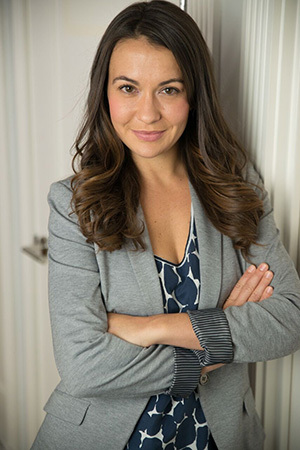 Stefanie O’Connell is millennial money expert and author of “The Broke and Beautiful Life”. Grab her free Scale Your Income Starter Guide to kickstart your financial and freelance journey! You have no idea how great it is to read about another writer who leveraged passion and hustle to create a life that she loves. I am not quite to six figures, yet, but I’m close. That networking piece was incredibly hard for me because I’m very introverted, but once I started using social media networking groups, things changed for me pretty quickly. I LOVE writing for a living. Nice, I just started freelance writing to supplement my blog income. I am truly encouraged by this post! Thanks Rosemarie and Stephanie! 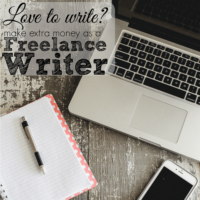 Freelance writing was my first income stream from blogging. SO many places to grow from there! Enjoy! Oh wow this is an inspiration. I’ve been feeling really lost lately and unsatisfied professionally. I met a younger version of myself recently. She just graduated highschool and had stars in her eyes about going to college for Journalism. We bonded over the fact that I majored in that as well! Of course, I had to drop out due to health reasons and never went back. This post combined with seeing a younger reflection of my forgotten passion has me believing that maybe it shouldn’t be forgotten. Maybe I should look into writing and journalism again. Thank you for this. It’s a push in a positive direction, I believe. This post seems to have come at just the right time. I currently work at a marketing agency, and I’ve come to a crossroads in my career where I’m looking to either work part time or start freelancing. My husband and I actually had a long discussion about this last night. Thank you for laying out the path. Now I just need to figure out how to actually set it up for taxes and everything! Lots of great information here. As someone who’s been dabbling in writing but never been paid, it’s nice to hear about the next steps I should be taking. As far as PF sites that offer $ for blog posts I had no idea there were that many out there. In fact, I can only think of one that has actual staff writers. Sounds like I need to do more research and fish out those opportunities. Thank you very much for givingS EO Tool. This information is very interesting to us, and we shared this information with our friends as well. We also run one website.